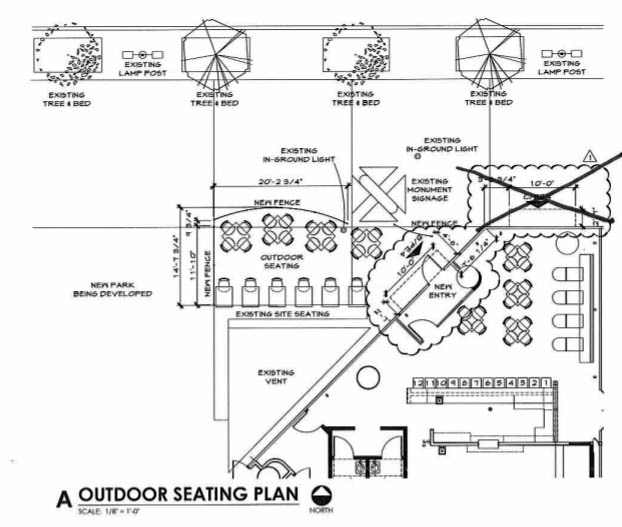 Not long after the City of Oklahoma City paid consultants for a series of recommendations on how to bring more life and retail to downtown's Park Avenue, a new restaurant and bar is set to start construction in one of the spaces that had been identified as key. 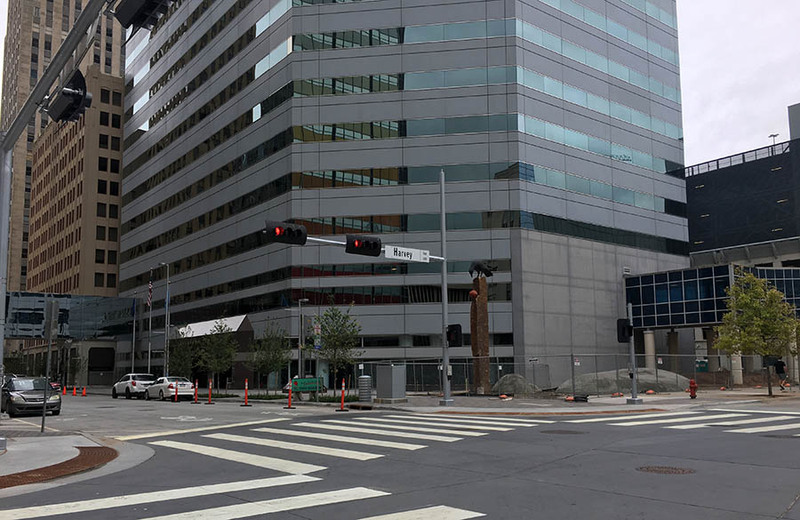 Plans have been filed for the ground floor of the northwest corner of Oklahoma Tower, a prime spot that faces Park and Harvey and also opens onto a large patio that to date has been underutilized. 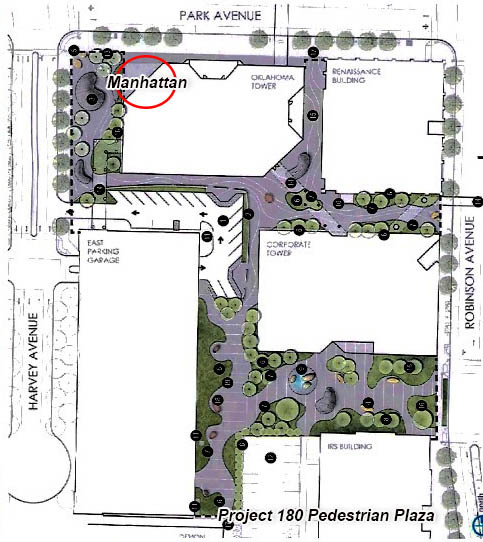 See the Park Avenue Retail Study here. 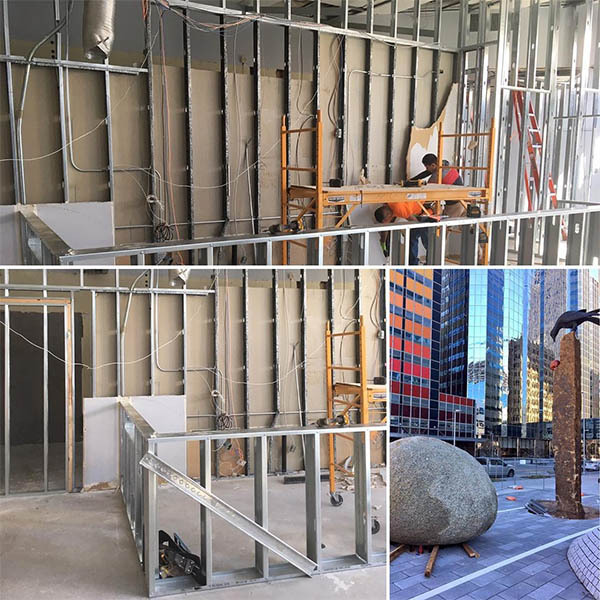 Dubbed The Manhattan Bar, the smallish 1,500 square foot space will feature a 12-seat bar area along with indoor and outdoor table seating. 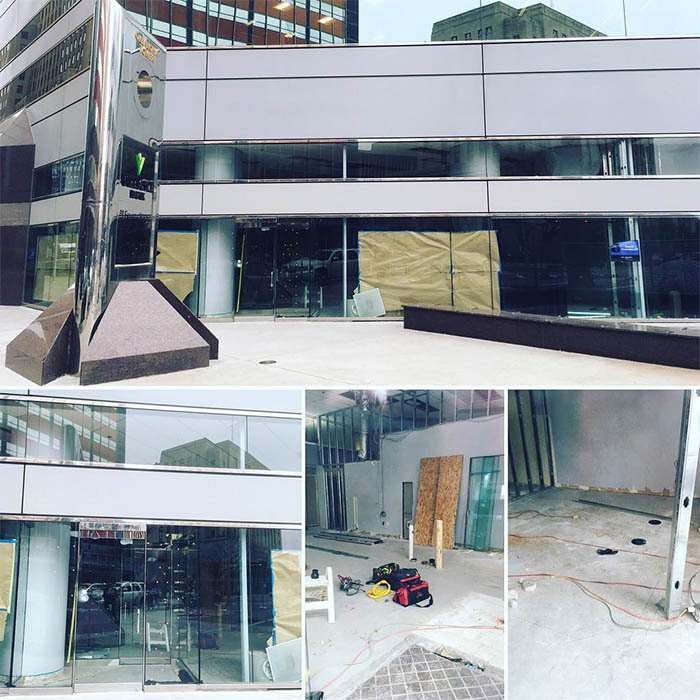 Bruce Rinehart of Rococo is behind the venture which will feature cocktails and small plates for lunch and dinner. 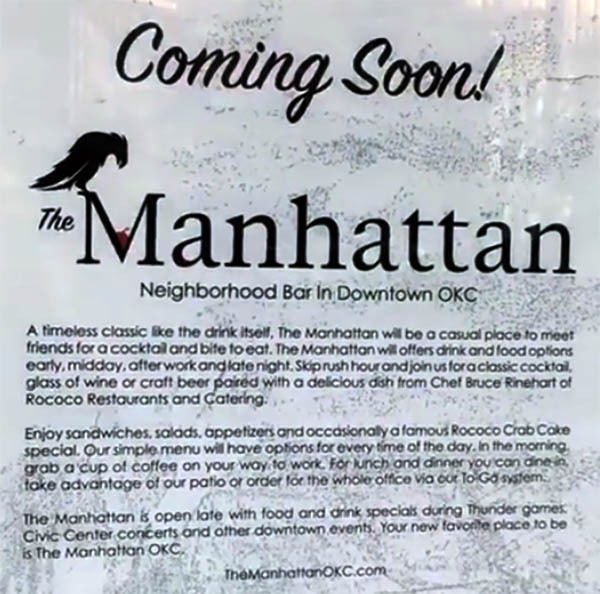 The Manhattan will join other recent dining and drinking establishments in the Central Business District, such as Mahogany, Flint, Vast and Kitchen No. 324. The timing of the new spot coincides with the final touches of Project 180 work along Park and Harvey which has completely rebuilt streets, sidewalk and streetscape in the CBD. 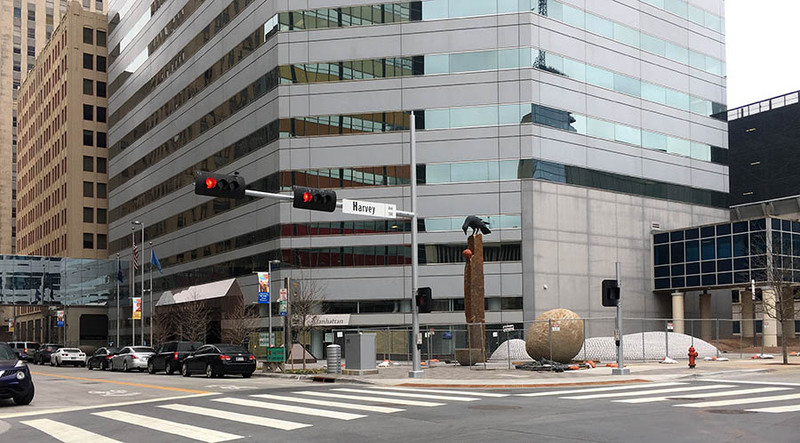 Additional important and bordering Project 180 work is in progress: The creation of a heavily landscaped pedestrian plaza between Oklahoma, Corporate and Devon Towers. The $3.2 million project started a few months ago and should be complete sometime after the first of the year and convert what has largely been surface parking to walkways, benches and gardens. 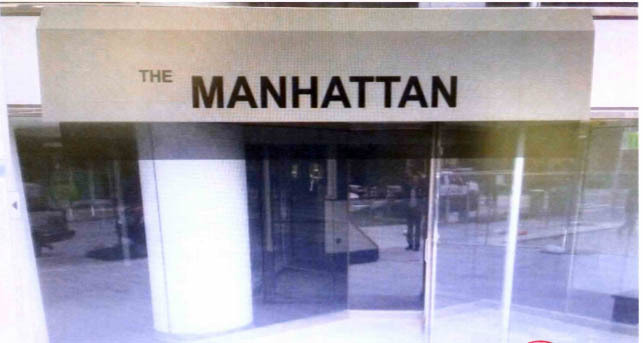 The work on Manhattan should start in the next two months. That outdoor space is pretty great. That spot can be crazy windy. I hope they plan accordingly. this. just about every day is a bad hair day in that wind tunnel. Lots of new trees to be added with this P180 project. Much better spot for that apple/raven sculpture. I always wondered why the bottom of the East of Oklahoma tower is covered up (not glassed). Notice where the skywalk connects to the building the facade includes no windows (and never has, even prior to the skywalk). Why is that? Will the owners now go in and change that since this East area will become a 'better utilized' plaza? Oklahoma City, the RENAISSANCE CITY! That was to be the entrace to the 2-level Galleria Mall. Even more odd... why does the 3rd level of the garage connect with the 2nd floor of Oklahoma Tower? 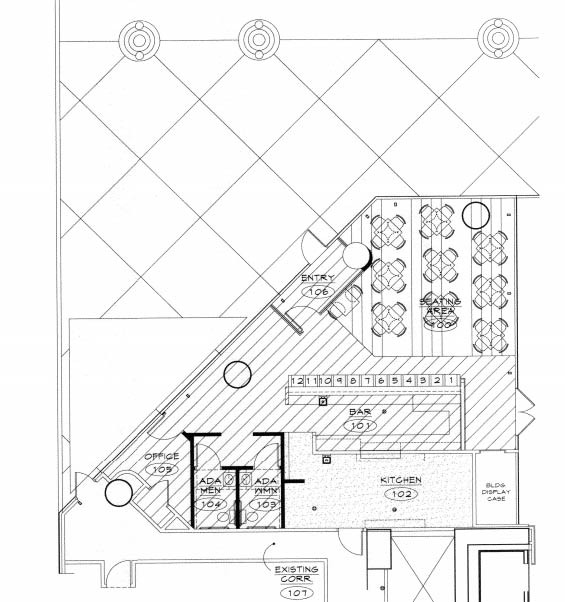 office floors are usually higher than garage or residential floors. I would imagine the first 2 floors of OK tower being 25+ feet, which would be 3 eight foot garage floors. You simply need less access as you go down the line, for garages it's just vehicle parking (and most are less than 7 feet tall) so floors only need to be around 8 feet. since the galleria is dead as a doornail, do you think the owners of OK tower might change the facade of the E section since it will now be a retail plaza? The awning will actually feature the logo shown here. Excited to see this place come to life -- such a great spot and will bring some real energy to the street. ^^^ If that's a flyer/ad, shouldn't there be an address and hours, maybe? If that's on the window of the bar itself, nevermind. Yes, on the window of their space. $20 Billion Development Will Transform West Manhattan!